Receiving the letter that you have been waitlisted can be one of the most frustrating parts of the college admission process, especially if that letter is from your top choice college. However, after you have received your acceptance, rejection, and deferral letters, it’s time to take stock. Take a few minutes to lick your wounds and feel sad about the rejections and waitlist(s), and then feel proud about your accomplishments. The most important colleges, at this point, are the ones that have accepted you. Take the time to compare all aspects of them. Make a list of pros and cons. Visit the ones that you can by taking advantage of their “Admitted Students” activities, which typically take place in April. Understand the financial aid packages offered by reading “Understanding Financial Aid Award Letters and the True Out-of-Pocket Cost of College” to get a true apples to apples comparison of the cost of attendance for each one. After you have analyzed your accepted colleges, it’s time to decide on the school that you would like to attend. Then, accept the offer. That’s right, don’t wait until you hear back from the waitlisted school(s). You need to secure a spot for the fall, and at this point, you can only accept an offer from a college that has accepted you. And now, CELEBRATE! You are going to college! So, why wouldn’t you wait until you hear back from the colleges that you are waitlisted? To put it simply, your chances of getting off the waitlist are not always great, but they can vary from year to year. And more importantly, you won’t find out about the waitlisted school(s) until the deadline to accept, May 1st, also known as National College Decision Day, has already passed. While getting off of the waitlist is always a possibility, it’s wiser to accept admission and get the process started: pay your deposit, secure housing, and start getting excited about that college! If you are a student who has qualified for a fee waiver, your college might allow you to accept admission without paying the deposit. For example, Purdue University explains that “Some students will not be required to pay the $400 deposit but still must accept their offer of admission by the appropriate deadline. The online student system, myPurdue, recognizes students who are exempt from the fee and will allow them to accept their offer online without the payment.” If you are in this situation, then contact your school’s admission department to find out its policy. What is a Waitlist? Why Do Colleges Have Them? Based on a college’s historical yield, it will decide on how many students to accept, with the understanding that only a percentage of the students will enroll. Here are three different types of schools, their acceptance rate, and their yield rate for the 2016-2017 year, according to IPEDS. As is shown above, Stanford University accepted less than 5% of its applicants. Of those admitted, over 80% enrolled. The University of Richmond accepted 32% of its applicants. Of the 32% admitted, around 26% enrolled. The University of Maryland accepted 48% of its applicants and of those 31% enrolled. It’s easy to deduce that the most selective colleges in the country usually have the lowest acceptance rate but also the highest yield rate, meaning they are hardest to get into, and as a result, most of the students who are accepted decide to attend. Since the yield rate for each year is not an exact science and often changes from year to year, after all, it depends on how many students accept and enroll, the colleges need to create a waitlist. Therefore, if they have an expected yield of 65% and only 55% accept the offer of admission, then that college still has to fill its numbers for the year. To put it more simply, if a college wants to enroll 2000 students for its freshman class and only 1950 students accept the offer of admission, then the college will turn to the waitlist to fill the gap of those 50 students. Therefore, colleges create waitlists to ensure that they can fill their freshman class. As you can see in the charts below, there are many students who accept the offer of “being put on the waitlist.” However, you do not have to accept waitlist offer, and you should only accept it if you know that you still want to go to that college. If you have already moved on in your heart and mind, then it’s fine to decline the offer. In addition, the percentage of students taken off the waitlist varies greatly from school to school, from level of selectivity, and from year to year. Below are the numbers that the College Board posted for the 2016-2017 school year. The College Board sends its own survey to colleges, and while not every college will fill out all of the information, the colleges below included information about how many students they took off the waitlist in 2016-2017. Keep in mind that this year’s numbers might change. In fact, let’s take the opposite scenario. What if a college accepts 1000 students for its incoming class, expecting 70% to accept the offer of admission, meaning it has a target of 700 students to enroll in the fall? However, if 75% accept that offer, then the college now has 750 students coming and as a result will not take any students off the waitlist. It’s impossible for the colleges to predict the exact numbers; therefore, the waitlist statistics will change from year to year. Take Dartmouth College, for example, whose numbers fluctuated greatly. For its 2019 graduating class, 196 students were taken off of the waitlist and offered letters of acceptance, yet for the class of 2016 no one was offered admission from the waitlist. 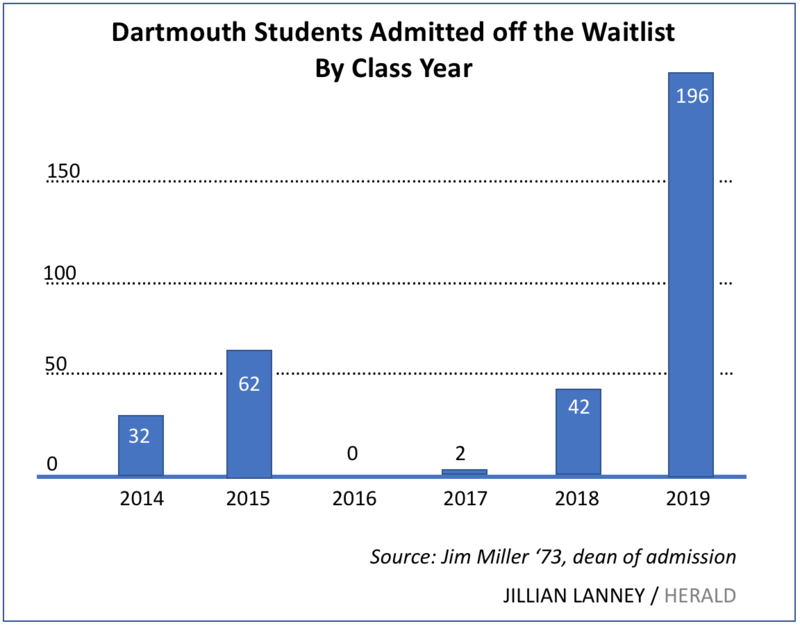 As a result, when looking at the amount of students accepted off of the waitlists for each college listed above, it’s important to understand that while these are real numbers from the incoming freshman for the fall of 2016 and the fall of 2017 and that they can, and often will, fluctuate for each class. For those who are just starting this process, it’s really important to apply to a variety of schools; in fact, it’s worth taking the time to read “Safety/Level/Reach: 5 Factors in Creating the Best College List for You.” By having a well-balanced list of colleges that you love, you will have many options. For those who have accepted the offer to be put on the waitlist, it can be hard, as it drags out the process of finalizing your college decision. At this point, it is mostly out of your control. You can contact the admission department and/or your local college representative to find out what, if anything, can be done to help your chances. You, the student, should be the one who is in charge of this communication, not your parents. After all you are the one going to college, so you should start advocating for yourself. 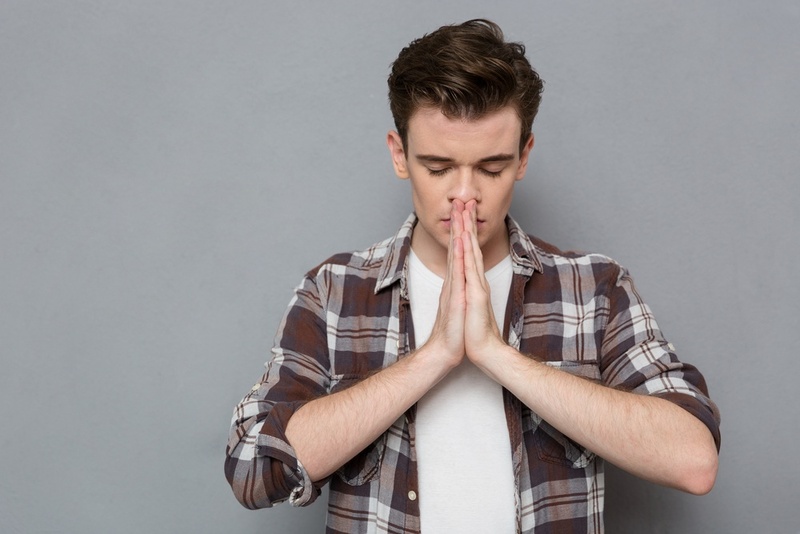 And parents, while it may be hard to give up the control, it’s important for this part of the process to be in the hands of your son or daughter, and the college admissions staff is usually more impressed by hearing from the waitlisted student. 1. Show the strongest possible next grading period. Your final grades will need to demonstrate consistent progress and an upward trajectory. 2. Write a letter to your admission officer or the dean of admission thanking her for the opportunity and telling her why the college is a good fit for you. In that letter, bring her up to date with accomplishments, awards, or extracurricular activities that provide new information. If in fact this is the one college for which you would drop everything else and enroll in a heartbeat, then state that if offered admission you will enroll. This is important to some schools. Keep in mind, you are close to the end of your college admission journey. Try to stay calm while at the same time be excited about the college to which you decide to attend. Most importantly, enjoy the remaining months of your senior year with your friends, be nice to your parents because you will likely miss them next year, and start getting ready for four of the best years of your life. You have so much to look forward to!